It must the weather. No? Maybe the lack of sleep? Probably not since school is in session and we put the kids to bed early. Is it me? You bet. Something about this time of year brings about the “angry” in all of us. Maybe because we are suddenly on schedule overload trying to shutter all the kids to school, preschool, appointments and practice. Angry comes in all shapes in sizes in my home. Yelling, testy remarks, telling my kids to “Hurry up” or worse. And chances are, you’re experiencing the same thing. I don’t want to be the proverbs 14 woman. 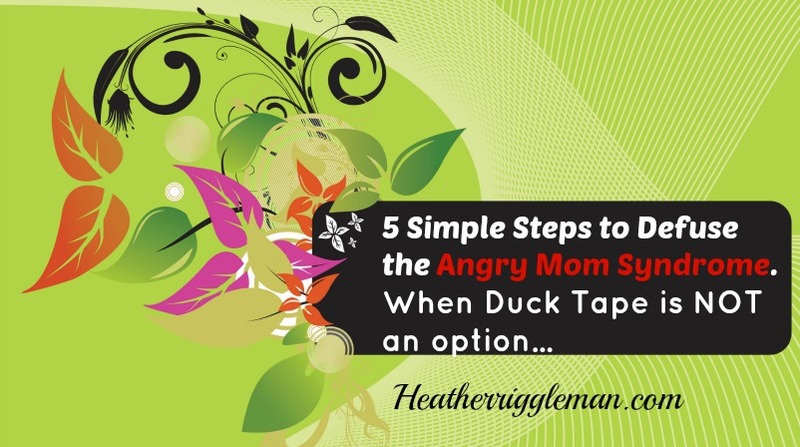 If duck tape isn’t the answer you’re looking for to prevent you from yelling out of anger at your kids, then you’ve come to right place. 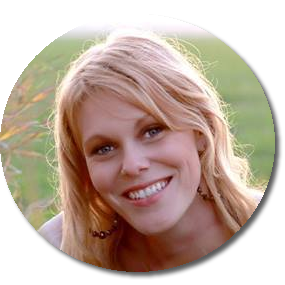 Here are some great tips to take care of YOU so we can defuse the angry mom syndrome. 1. Start Each Day with God. Create in me a clean heart O God, renew a right spirit within me. Psalm 51:10, NLT. I know it sounds simple, but it is SO not. It’s about surrendering your agenda, your to-do list, your home, your body, and your thoughts to God. I begin each day groggy eyed as I head downstairs with to meet my maker. I’ve actually had visions of Him standing at the bottom of the stairs with my coffee, waiting for me to ascend to chat with Him about the day I’m going to have. Try not to be rigid as I give you my example. My prayer time is set up in a journal as follows. Intercede: Pray for specifics of each family member and friends, pastors, etc. Worldly issues that bug me. Personal prayers that I utter to no one! Wait on God to answer or soak in His presence. When I’ve finished my prayer time, I read the bible. We, as women, are more intimately connected with our spirits, so if we starve our spirits, other people will notice and not in a good way. Does irritability, agitation, and not being calm ring a bell? Remember Gog’s word is living and active! Face it ladies, we were made to make babies, we pack on the pounds as if the next great famine is coming. Because of how we were created, we need to exercise. There I said it, e-x-e-r-c-i-s-e. Exercises releases natural endorphins, and helps our body get rid of impurities, plus studies do show that it does increase our mood. For me, it gives me focus, clarity, and calmness after I’ve done my dreaded run on the treadmill or Jillian Michael’s DVDs (I currently have a love hate relationship with that woman. Love how she gets my body in shape, hate the workout). 3. Let it Go. (Review all of Psalm 130). Our sins were nailed to the cross a couple thousand years ago. Every thought, angry word and action has been removed from us. So why then do we hold onto the biting words from our husbands, or stay irritated at our kids? Create a loving environment. When your child messes up, help him right the wrong, forgive and immediately let it go. This teaches your children to not hold grudges as well as forgiveness. Many of us Mama’s have anger because of some past hurt. LET IT GO. It doesn’t mean God won’t hold that person responsible, it means that the hurt no longer has power over you. Much of our anxiety, pent up frustration has to do with what is still lurking in the corners of your heart. Take it to God. My kids are growing up. That means more fights, more attention and more arguments. There is chaos, screams, loud noises, messy rooms, crumbs in places I didn’t think I would ever find them, immaturity, and so much more going on in my home, twenty four hours a day and here is my confession…it irritates the living daylights out of me. My friends call some of my erratic cleaning issues as visual chaos syndrome, I hate messes and then God blessed me with three kids. My point is this, is it worth getting angry over? Is it worth stomping my feet and shooting dirty glances at my five year old who spilled juice everywhere because he was gurgling it and balancing the cup with his fingers? Is it worth getting angry or frustrated when my three year old wants to wear princess shoes while we run her brother to preschool in the snow? Is it worth getting frustrated that my husband decides to stay up late watching movies and wakes me even though I have to be up by 5 a.m. (Yes, Jesus is downstairs waiting for me that early in the morning and no–I don’t set an alarm clock for it either). Is it worth getting frustrated when I have to battle my oldest into wearing jeans for church (she has aspergers and hates the feel of jeans, eventually I will buy her clothes she likes). Sit back, take a deep breath in the moment and consciously decide if getting angry is worth it. Will the outcome matter? Is the anger going to build up the situation or tear your family down in it? 5. Recognize the Cycles. “There is a time for everything and a season for every activity under the heavens.” Ecclesiastes 3:1. Face it ladies, we have cycles and not just the one we all dread every month. Open your eyes to the way your children act throughout the week, what causes it, how do they react and how to you react? Then take steps to change or minimize the issues that cause you stress. 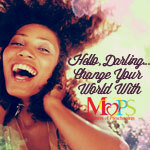 I’ve recently become aware of days when my body is worn out during a certain time of the month. When my body feels this way, my attitude and perspective are depressive. I tend to lash out at anything that breathes. Keep in mind, whatever the issue, it too will pass; like teething, potty training, tight financial crunch, broken down car, etc. It will pass. We want to have this perspective so we can use wise words around our families. Eliminate the stress of your schedule. I used to keep a very rigid schedule for cleaning. I’ve learned that laundry isn’t as important as playing on the floor with my kids. Who cares about the counter tops, save it for company! Hopefully these simple tips will help you regain the ground you’ve lost to anger and frustration. The work of raising strong, healthy, Godly children is so much more important than the issues that cause us anger. Recognize what triggers your frustration and ask God to walk with you to defuse it. Ask Him to open the eyes of your heart in order that you may build up your family with your words and actions. Don’t forget to leave a comment or two. Our transparency helps others feel that they are not alone in working on this issue. It gives us all the confidence to move forward!